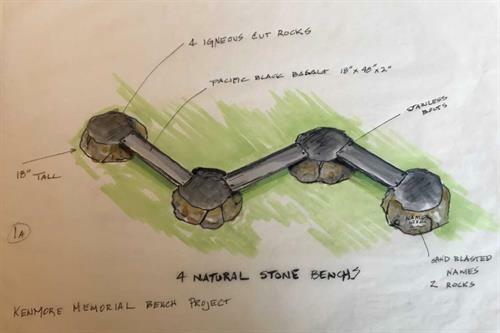 A small group of local families are working with The Arts of Kenmore & City of Kenmore - Government on a natural stone bench art installation in honor of Sarah Paulson & Caleb Shoop. Designed to be a community gathering place, the bench will be located in Rhododendron Park, overlooking the playgrounds and adding to the beauty & enjoyment of the park. In the spirit of both Caleb & Sarah, we hope the bench will bring friends and family together and strengthen our community. Cairn will host the families and friends of these two young people in the taproom. Come support this fundraising effort! Cain will donate $1/pint sold all day to the Legends Bench.